This podcast playlist on climate change was curated by the members of our Geneva chapter. What exactly is climate change? What’s the big deal? Can we do something to stop it? There are many questions surrounding climate change, and it is why the Geneva members felt it would be a great topic for a PBC discussion. As novices to climate change, we were looking forward to learning about the issue and learn we did! We reviewed a lot of episodes, including entire podcasts dedicated to climate change, and learned what 2 degrees means, what weather has to do with climate change, how diseases may get quite scary, and how politics has hijacked the science. The episodes selected touch only on some of this so we highly recommend you look at the bonus listening list too (available to PBC patrons). Climate change is truly a problem of epic proportions and we hope you enjoy discussing the science, the controversies, and the potential solutions. (9 minutes, March 2017) The host of this episode gives a very simple primer on the science of climate change. She even gives you an experiment to perform to prove that carbon dioxide is warming the earth. (46 minutes, August 2016) Piers Sellers, a NASA astronaut and a climate scientist, gives us his unique perspective on climate change in this episode. Terrestrial: Would you have kids given climate change? (19 minutes, May 2017) A millennial woman discusses whether or not to have children given the type of planet we may leave behind for future generations. (38 minutes, May 2017) This is a US-centric history of the rise of climate denial. It delves into how the US went from supporting climate change treaties to where it is today. (32 minutes, July 2017) The PBC podcast brings part of the PBC conversation directly to your earbuds. 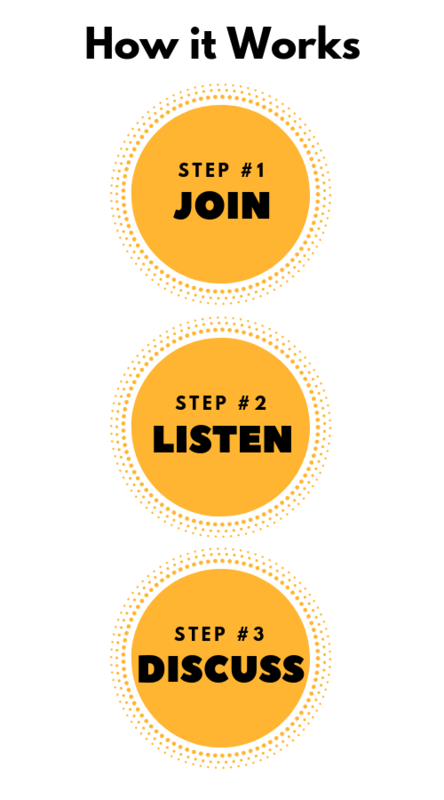 This month, Adela (founder of Podcast Brunch Club) sits down with Jen Barragan (PBC-Geneva chapter leader), to discuss the Climate Change listening list. (14 minutes, August 2017) This is a special bonus “Community Commentary” episode of the PBC podcast. 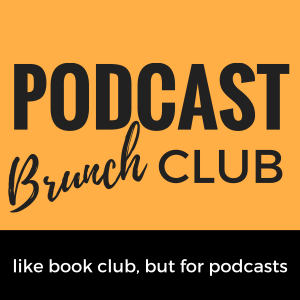 In this episode, we get perspectives about our podcast playlist covering Climate Change from Podcast Brunch Club members in LA, Houston, and Bristol! Is this the problem of our time? Or is this hyperbole? Are we exaggerating the impact of climate change? Why do you think seeing the earth from space changes one’s view on earth, climate, and human relationships? Were you moved by Carl Sagan’s words? Would others be more inclined to protect our plant from climate change if they heard them as well? Should we be optimistic despite the risk of accelerating timelines and the possibility of surpassing the two-degree target? What is the best way to deal with climate change – with science/technology, economics, or with policy? Do you personally feel the urgency to do something about climate change? What do you do on a daily basis and do you think it’s enough? Is not having kids a good method of protecting the planet for future generations? Or does having children make you more likely to fight for a hospitable planet in the future? An advocate for not having kids dismissed the human accomplishment of space travel as having no real value. How might Piers Sellers have disagreed with that? If you are not from the US, what has your experience been on climate change action? Do your politicians care? How important do you feel the US is in reducing the impact of climate change? Is denial an American thing? Is there too much focus on convincing climate skeptics? Is the skepticism really that widespread? Is the bigger problem indifference? What is the role of the media in “questioning the validity of the science”? Has this made the climate denial problem worse by giving it credibility or is the media just doing its job to report on the story? Need a music break? DJ RuggedAngel has put together a music playlist on Climate Change if you want to CHANGE it up a bit.